Carly Rae Jepsen meldet sich zurück! 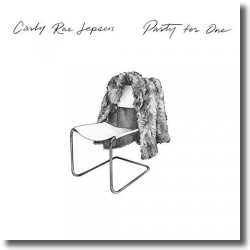 Ihr Comeback feiert die kanadische Popsängerin allein - mit ihrer neuen Single „Party for One“, die Carly mitschrieb. Gleichzeitig ist dies der erste Vorbote ihres bevorstehenden Albums, welches für 2019 angesetzt ist. Die „Call Me Maybe“ Sängerin feiert in ihrer Single die Selbstliebe, besonders nach einem Break-Up: “To me ‘Party For One’ is an anthem of what it is to celebrate time with yourself, which is a hard thing for people to really enjoy sometimes, and it's something I’m learning to do more and more. This song represents a lot of what this album is about for me which is romantic love but self-love too."